I’m not expecting to be selected. 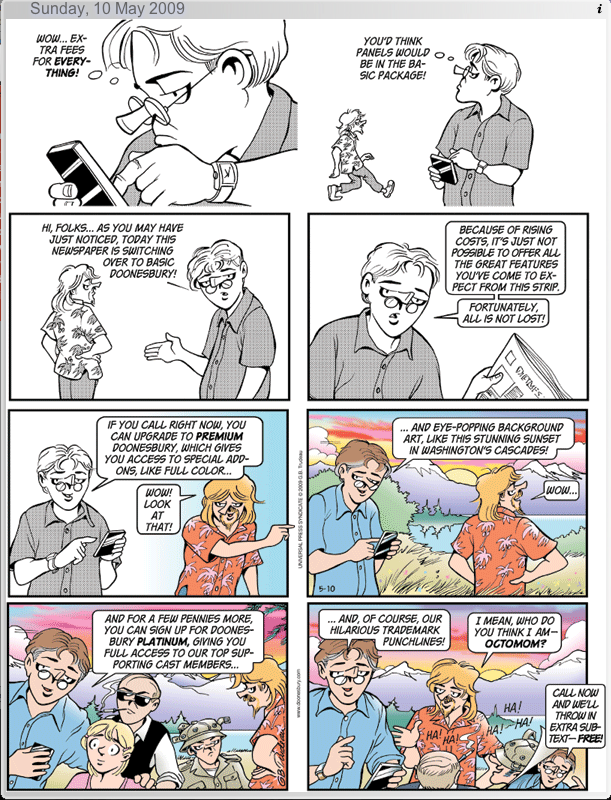 Today’s Doonesbury comic strip gets its geography very wrong. …and eye-popping background art, like this stunning sunset in Washington’s Cascades! In the comic strip, Mike Doonesbury’s household is in Seattle. Yo, Gary, the sun sets over the Olympics, not the Cascades! Excellent! “AM” modulation, “PM” modulation, “QAM” modulation and “TCM” modulation too. Every one a redundant tautology. Yes, each and every single one is a redundant and repetitive tautology.